When a liquid barrier is necessary, either liquid or spray (A4369) or individual wipes or swabs (A5120) are appropriate. The use of both is not reasonable and necessary. Beneficiaries with continent stomas may use the following means to prevent/manage drainage: stoma cap (A5055), stoma plug (A5081), stoma absorptive cover (A5083) or gauze pads (A6216). No more than one of these types of supply would be reasonable and necessary on a given day. Beneficiaries with urinary ostomies may use either a bag (A4357) or bottle (A5102) for drainage at night. It is not reasonable and necessary to have both. 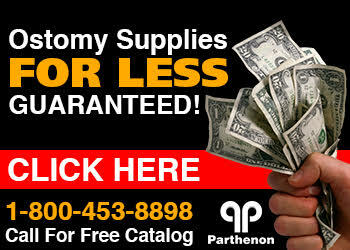 To get discount ostomy bags and wound dressings priced the lowest in the country, just go to Parthenon!